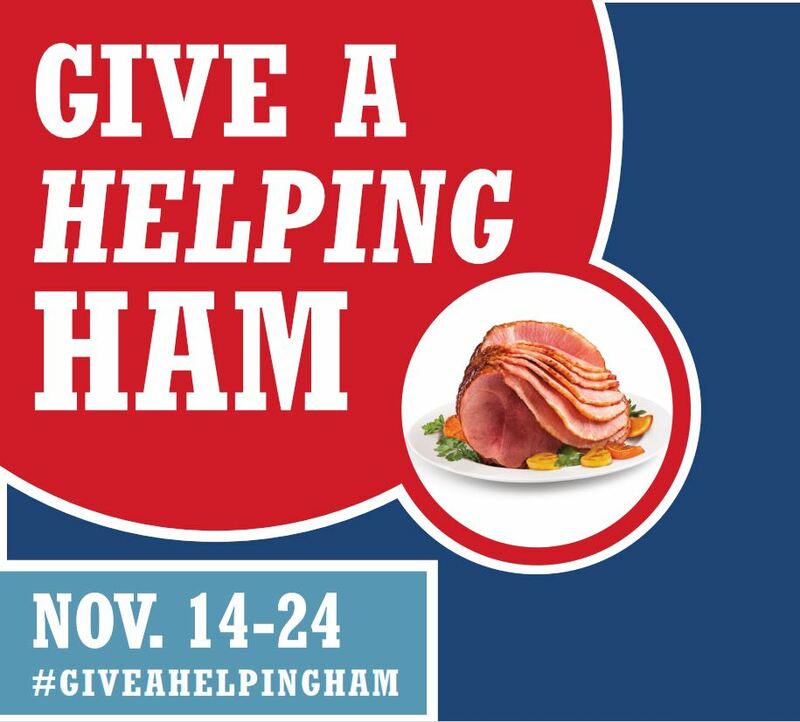 PIPESTONE has teamed up with local grocery stores this holiday season with “Give a Helping Ham” initiative with one goal in mind: Help Fight Hunger. One out of every five kids in America struggles with hunger. “There are an astounding number of families in our community that are food insecure. Give a Helping Ham is a simple way to get the community involved in giving back and providing families with some nutritious protein that they may not otherwise have,” said Dr. Luke Minion, CEO of Pipestone. Give a Helping Ham has made it easy for community members across the Midwest to get involved in giving back to their local food bank. Starting November 14th through November 24th buy a Ham from one of the participating grocery stores below. For every pound of ham purchased, PIPESTONE will donate a pound of pork to the local Food Bank. See below for how you and our communities can participate. So as you plan your trip to the grocery store, remember your purchase of a Thanksgiving ham is also helping fight hunger in your local community. Of course, our food banks/shelves need more than monetary donations to continue to serve in our communities. Please consider helping out as a volunteer and contact your local food shelf to see what their needs may be.